It’s not something I have discussed much, but after my thyroid surgery my body has been on a constant merry-go-round of strange. During that time, stressful periods of life combined with frequent lack of sleep, helped me to somehow develop a heart condition. Of course, I was scared senseless, but my doctor said he actually calls it the “mom heart syndrome” because he sees it so often in moms. Pair sudden heart palpitations with only half a thyroid and the adventures were pretty interesting. I noticed that my adrenals (that is your kidney system) were overworked and sore and my weight had been higher than it had ever been in my life. While I have always been tall and skinny, and could possibly hide more weight, I didn’t feel healthy. I was constantly sluggish, slow, and concerned that doing too much would activate my dreaded heart flutter. I was beyond frustrated. So I decided to take matters into my hands. I will not stay on the extreme version of the KETO diet I am on now forever. Meaning I am only consuming about 20 to 40 grams of carbs per day, because maintaining that level could actually be hazardous to your health long term, but it has been a great launch into living a healthier life. I feel more able now to decipher the difference between need and want foods. Also how to control portions, and mostly, to listen to my body better when there is a problem, because it will definitely tell you. The extreme KETO diet is not for everyone. It consists of real foods, proteins, veggies and little to no sugar and carbs or grains. That even means natural sugar like found in fruits. 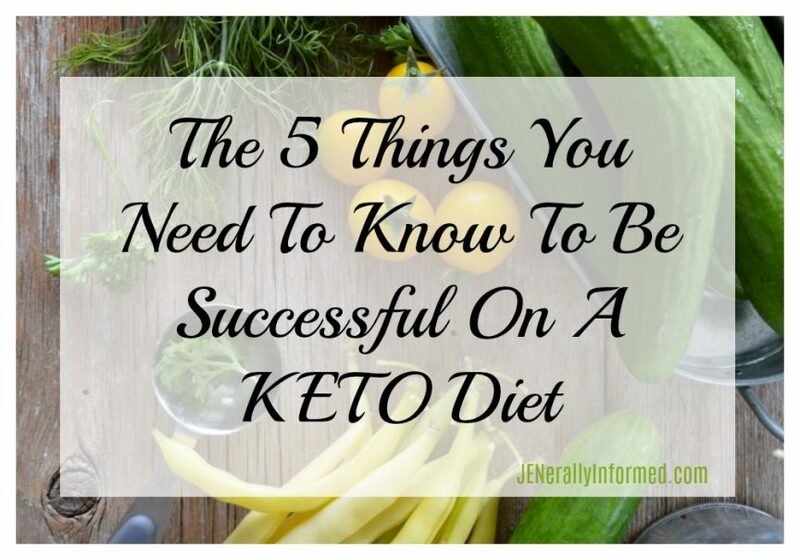 It takes dedication and a little bit of crazy to do that kind of KETO, but if you are ready to change your life, here are 5 tips to help you be successful. I am not joking on this one. You need to be able to learn how to make protein packed entrees and then pair them with fresh and yummy vegetables. I am not talking about a hamburger for every meal either, but real food that is good for you too. My husband and I are both very good cooks, and enjoy making food. Cooking this way has been both challenging and fun. We have also learned how to cook with substitute flour and sugar sources which is definitely something we will use going forward as we continue with a modified KETO diet. We have also not forced our children to be on this diet, but they eat a lot of the meals we do, and they like them. They still eat carbs, fruits and everything in between, but they have commented not more than once, that they can definitely feel a difference in how their body feels. They say they feel better and healthier. Probably because they are eating more “real foods” cooked to maximize the nutrients in that food. Kids and KETO, isn’t without controversy as well. If interested, you might want to check out the movie the Magic Pill on Netflix. I can leave it up to you to decide, but here are some of our favorite recipes so far, plus make sure to follow my KETO board on Pinterest. I also will be sharing some other JENerally Informed low carb. creations here as well. Fathead Dough– We made the most amazing 3 carb. alfredo bacon pizza with this! Stuffed Cabbage -This one works for a whole host of diets! Ultimately, it is a diet, so there are going to be tough days. You need to resolve with and for yourself the reason you are doing this diet. Doing that will help you to push through those rough days, because I had plenty of them myself. Days where I basically wanted to eat ALL of the donuts and could not stop thinking about them. I was able to move past days like that though by knowing I was doing this to be the best version of myself I could be, and so that I could stick around as long as possible to nurture my kids. P.S. We have done cheat days. The benefit of a diet like this though is it really taught us what we wanted to cheat with. For me it is always going to be carbs, but interestingly enough my body now is not always a lover of things like that, so I have begun cheating more with fruit and other natural sugars. My mom had an old Weight Watchers scale that we put new batteries into like a week after starting the diet. Not having it right at first helped me though. It taught me that it was about how I was feeling and not what I weighed. I can tell you though that even just a few weeks in I was feeling amazing! Sure, the first few days of carb. flu made me question my life’s decisions, but after that passed the bloating and gurgling that had been a huge part of my life previously just went away. My stomach was already cheering me on and saying thanks for making the changes! Eventually, however, your scale will help you to monitor what you are losing and keep track of it in a healthy way. Remember that sometimes your body will be adjusting and changing itself as it burns fat, and this may not always equate to weight loss. 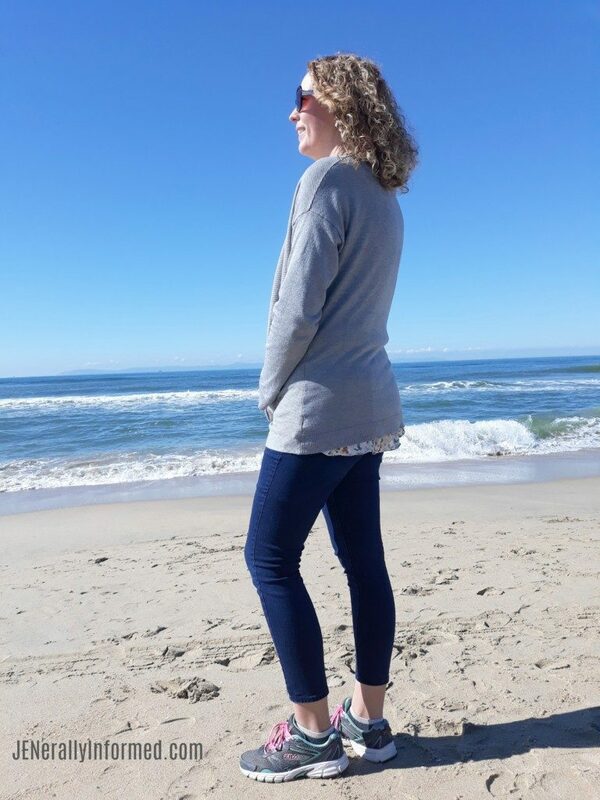 I could tell this was happening even at times as my weight remained constant, but I would see a difference in how my clothes started fitting; differently- better, and not as tight as they had previously been. 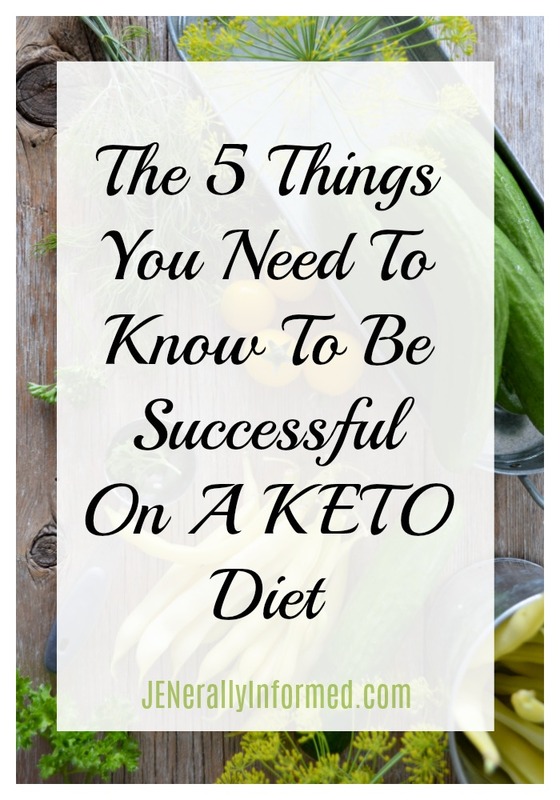 Five tips to help you be successful on the #KETO diet! This is not to say you should lay on the couch like a slug while first on KETO, but small workouts or nature walks, gardening and other small to moderate exercise are all good things. Just don’t try to train for a 5K for the first few weeks. That would not work, and could put your health in jeopardy. I am to to the point now where I have started working out more to build muscle and keep my heart healthy. It feels good and, more importantly living off healthy fats keeps my energy level up the entire day and not just after meal time. This is key! At first you might feel like you have to be pee every time you drink water, but keep doing it. Your body needs that water to help you to metabolize and lessen the strain on your kidneys. Let me conclude by stating I am not a medical doctor, but this has worked for me and as a blogger I like to share my lessons and successes with others. If you are on the KETO diet, I say good luck and you’ve got this. If you aren’t quite ready or are you doing your own thing, good for you. Keep up the good work. Your body will thank you. Way to go on losing 15 pounds. I’m so proud of you. It’s not easy and as we get older it gets harder and harder. I’ve not heard of this diet before, but it sounds like a healthy one. That’s the most important thing. Agreed and thank you! That thyroid surgery really threw me for a loop and add in age…..
It’s not a diet for everyone, but I am pretty confident that no matter what avenue taken for a diet, making sure to eat real and not processed foods is the way to go! The people I know on KETO who do it correctly really do well. So sorry about the scare you had and my doctor said it’s super common in slim women and thought I might have it one day. So there you go. I didn’t know it hit slim women too! Dang can’t win for losing sometimes :) Hope it completely avoids you altogether! I’m glad this is working for you right now. I’m so not a cook but I know I need to get better at that. I’m trying to be healthier! Thanks and good for you! However you do it will be the right way for you. I’m so happy for you that your new journey has worked and you are feeling better! I have nothing to blame for my recent weight gain except middle age, I think! So I’m starting to think about changes and need to make some in what I eat. You make Keto sound doable and with such results-wow! it really is amazing! During those middle age years losing weight becomes so much harder and this has definitely done it for me! Great tips and I agree that you need to be able to cook and stay hydrated! Not sure how long term Keto eating could be health hazardous though but I’m intrigued because I’ve been on this diet (modified because i can’t eat alternative flours) for a year with no side effects. Good for you! Yes long term that kind of a diet is perfectly fine and I might stay on a modified form of this diet, but right now I am at only 20 to 30 carbs a day. That kind of KETO is a really good way to help clean and kick start your diet and healthier life. It is just not sustainable long-term. I have found I really love cooking with stevia and coconut flour! I’m in the middle of a keto diet – they work so well for me and I feel so well on them. Thanks for joining #TriumphantTales.